Jakarta is a dynamic capital city of the Republic of Indonesia, a country composed of more than 17,000 islands with a population of over 200 millions. Comprising more than 300 ethnic groups speaking 200 distinct languages and dialects, the Indonesian population exhibit incredible diversity in its linguistic, cultural and religious traditions. 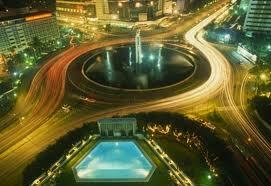 Jakarta is the capital of Indonesia with an interesting mix of colonial heritage and a modern, contemporary city. Located on the island of Java, Jakarta is the gateway to Indonesia and although it’s not everyone’s cup of tea due to its vast and manically busy nature, it is home to a variety of attractions and places of interest. With an incredible population count of almost 12 million, Jakarta is a sprawling metropolis often chaotic, often polluted but full of diversity to keep visitors entertained. There are no direct flights to Jakarta from the UK, however flights are available to Jakarta with short transits or a change of aircraft via Europe or Asia. Head to Jakarta’s old town of Kota, once the centre of Dutch colonial Indonesia, with its cobbled square and faded grandeur. Museum Bahari located in some beautiful colonial buildings has an interesting exhibition on Jakarta’s maritime history and beautiful views across the harbour. The National Museum offers a great insight into the different Indonesian cultures and houses a great collection of bronzes, costumes and ancient Chinese ceramics. For a fun day out head to Ragunan Zoo with its collection of Indonesian wildlife including the fearsome Komodo dragons and primates such as gorillas and orang-utans. For a great variety of entertainment, the Dreamland leisure park complex houses a SeaWorld, theatres, cinemas, bowling and restaurants. Prices tend to rise the closer you are to departure so we recommend that you book ahead for the best deals on cheap flights to Jakarta, Indonesia. The cheapest flights will usually be available if you can avoid travelling during the busiest times of the year. To get the cheapest prices on flights whether you're booking in advance or require lastminute flights, try our flight search box. 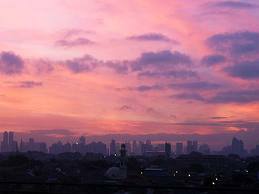 Jakarta has a hot and humid tropical wet and dry climate according to the Koppen climate classification system. Despite being located relatively close to the equator, the city has distinct wet and dry seasons. Wet seasons in Jakarta cover the majority of the year, running from November through June. The remaining four months forms the city’s dry season. Located in the western-part of Indonesia, Jakarta's wet season rainfall peak is January with average monthly rainfall of 385 millimetres (15.2 in), and its dry season low point is September with a monthly average of 29 millimetres (1.1 in).